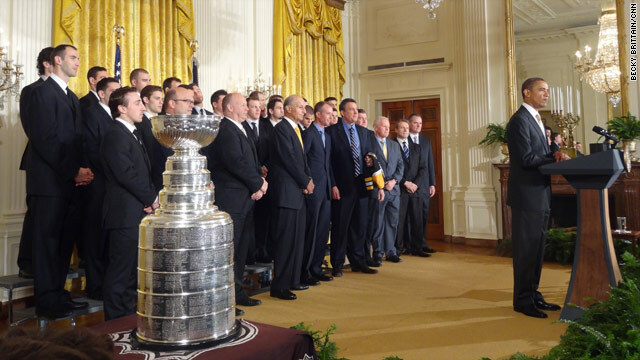 President Obama continued the tradition of hosting championship sports teams to the White House and today it was the NHL's Boston Bruins' turn. The Bruins beat the Vancouver Canucks in a seven game series to win their Stanley Cup since 1972. 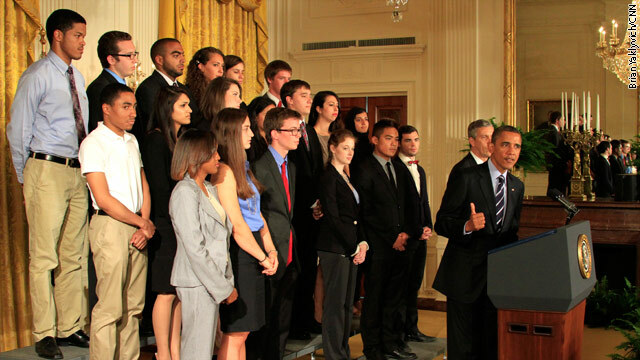 President Obama congratulated the team for their long-fought victory. "These Bruins understand that winning the Stanley Cup is more than just men on ice. 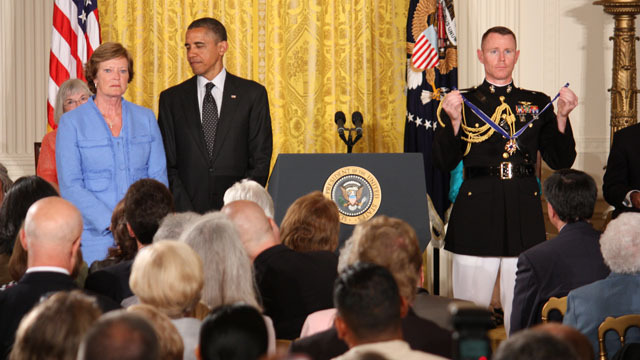 It’s about the people that stand behind them," the president said. "And that’s why, since the last buzzer sounded in June, the Bruins have been taking their Cup all over the world to share it with their fans." The president told the crowd assembled in the East Room that the Cup had been to a sauna in Finland, used in a christening, made its way to Pebble Beach and even was used by head coach Claude Julien's daughter as a cereal bowl. The Boston Bruins were also congratulated for their work off the ice. The Boston Bruins Foundation donated more that $7 million to charities in New England last year. They also hosted a hockey clinic with local DC children on Monday. One key member of the Boston Bruins was absent from today's event, goaltender Tim Thomas. According to ESPNnews.com, Thomas made the choice not to come and wouldn't discuss his reasoning with the media. He was expected to make a statement on his Facebook page later in the day. In the last two weeks, the president hosted the St. Louis Cardinals and the Dallas Mavericks to celebrate their championship seasons as well. The Boston Bruins were in town to play the Washington Capitals on Tuesday night.